Rising Phoenix Studio is located in the Little 5 Points Center for Arts and Community at 1083 Austin Avenue, Atlanta, 30307, at the corner of Euclid and Austin Avenues. - From I-75/85, take the exit Freedom Parkway East. Cross Boulevard, and then bear right at the "Y", going toward the Carter Center, and continue to bear right whenever there is a choice. Cross Highland Avenue, and then at the dead-end at Moreland Avenue, turn right. At the 3rd light, turn right onto Euclid Avenue. Go through 2 lights; Rising Phoenix Studio is in the Little 5 Points Center for Arts and Community, the brick building on the left at the Intersection of Austin Drive (along with Horizon Theatre and other organizations). Park in the lot behind the building, and enter through the back door nearest the patio/garden. - From Decatur, follow E. Howard/DeKalb Avenue West. Turn right at Oakdale Road (MARTA station is on the right). At the next light, turn left onto McLendon Ave. Go straight through the light at Moreland (you are now on Euclid Ave.) Go through 2 lights; Rising Phoenix Studio is in the Little 5 Points Center for Arts and Community, the brick building on the left at the Intersection of Austin Drive. Park in the lot behind the building, and enter through the back door nearest the patio/garden. - From Emory/Toco Hills, head South on Briarcliff, which becomes Moreland Ave. after you cross Ponce De Leon Ave. Go through 4 lights, and turn right at the 5th light onto Euclid Avenue. Go through 2 lights; Rising Phoenix Studio is in the Little 5 Points Center for Arts and Community, the brick building on the left at the Intersection of Austin Drive. Park in the lot behind the building, and enter through the back door nearest the patio/garden. - From the Northeast, follow Lawrenceville Hwy./Scott Blvd., which becomes Ponce De Leon Ave. At Moreland Ave., turn left. Go through 4 lights, and turn right at the 5th light onto Euclid Avenue. Go through 2 lights; Rising Phoenix Studio is in the Little 5 Points Center for Arts and Community, the brick building on the left at the Intersection of Austin Drive. Park in the lot behind the building, and enter through the back door nearest the patio/garden. - From I-20, take the Moreland Avenue North exit. Go about 2 miles, and at Euclid Avenue turn left (across from Zesto's restaurant). Go through 2 lights; Rising Phoenix Studio is in the Little 5 Points Center for Arts and Community, the brick building on the left at the Intersection of Austin Drive. Park in the lot behind the building, and enter through the back door nearest the patio/garden. Please email us at least TWO DAYS before you would like to attend a class for the first time, so we can update you with any schedule changes, help select a class for your desires and needs, and to save a space in the class for you! Click here for our Public Class Schedule for T'ai Chi and Qi Gong in Atlanta! Our home in the Little 5 Points Center for Arts and Community is bright and welcoming! 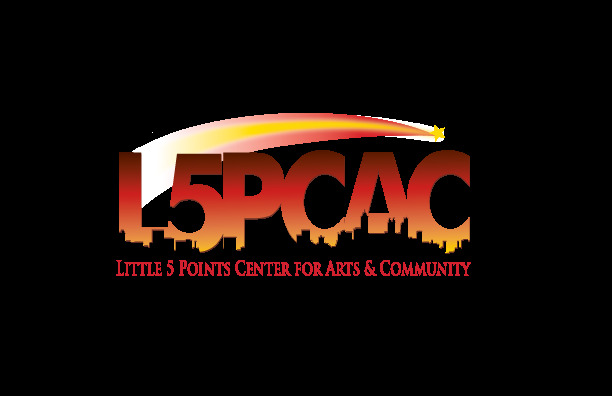 Please click on the logo to go to the L5PCAC website, for interesting information on our Community, our neighborhood, our other events, and more!